When we launched iD Tech Mini, our camp for kids ages 6-9, we had discovery in mind. We wanted kids to learn by doing—to experience hands-on technology, and leave camp excited about graphic design, robotics, and other STEM topics. That’s what sparked the idea to create a Maker Station. With a fun mix of high-tech gadgets and innovative STEM toys, our Maker Station teaches spatial reasoning, if-then thinking, and problem solving through play. We balance our custom, instructor-led curriculum with supervised breaks at the Maker Station for a rich, always-exciting combination of instruction and exploration. 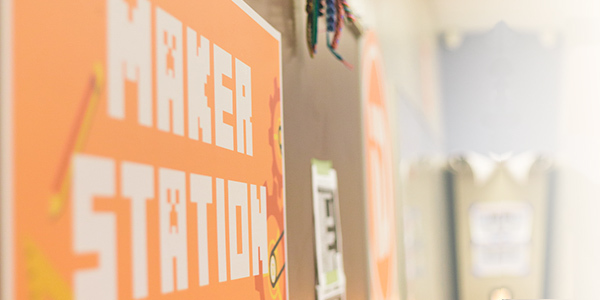 Here’s an introduction to the companies that provide products for our Maker Station. Playing with a dollhouse can be fun, but building your own house / car / boat / ferris wheel and then wiring it? Yeah, that takes fun to the next level. With modular building pieces, lights, and motors, Roominate gives kids a blank slate from which they can create any number of cool structures—like a spinning merry-go-round or a pet elevator. Parents can help kids connect their creations to a smartphone or tablet to control the motor and lights remotely. For extra building ideas, the company offers free tutorials on its Roominate YouTube page. What kids learn: Roominate promotes cognitive development and spatial skills, teaches basic circuitry, improves self-confidence, and encourages kids to find creative solutions to problems. Oh, and that’s all in addition to getting kids genuinely excited about STEM. Where to get your own: If you know which product you’re looking for, a simple Google search can help you find an online retailer to purchase from. Otherwise, head to Roominate’s website. What Kids Learn: GoldieBlox toys help girls develop a true interest in STEM fields, encouraging them to pursue these fields later in life. These construction sets teach spatial reasoning, problem solving, and innovation. Where to get your own: Use the GoldieBlox store locator to find a store near you. Find the best set for your child by checking out the age suggestions and difficulty ratings before you buy. If the mere thought of an “invention kit” sounds complicated, say goodbye to all your previous notions. Makey Makey lets kids turn ordinary objects into touchpads and combine them with the internet. The simple invention kit comes with everything you need (Makey Makey board, alligator clips, and USB cable) to create musical instruments, game controllers, and much more. What kids learn: As an incredibly open-ended product, Makey Makey strengthens creativity. The invention kit also teaches circuitry and opens kids’ eyes to a world of opportunities made possible by technology. Where to get your own: You can purchase your own Makey Makey Invention Kit directly from the Makey Store or from other resellers. I recommend reading this handy list of frequently asked questions before you buy. What kids learn: As they build their own creations, kids are introduced to circuitry. Problem-solving skills and creativity are bolstered . With the littleBits community, children can also gain self-confidence and connect with peers who share their tinkering mentality. Where to get your own: Head to the littleBits shop to purchase a set of Bits; there are tons to choose from! Get your turtle to the matching colored jewel and discover programming at the same time. Robot Turtles is the most-backed Kickstarter game ever to hit the shelves. Here’s why. Using instruction cards, kids create or “code” a sequence of commands to guide the turtle to its colored jewel. While some obstacles may arise, at the end of the game everyone’s a winner. ThinkFun also created a completely different set of rules for adults or older kids. What kids learn: Kids learn a solid understanding of programming principles—including if-then thinking, functions, debugging, and more—without a single minute of on-screen time. Plus, parents don’t need any programming knowledge to help their children start learning! Where to get your own: Grab a copy of Robot Turtles from Target, Amazon, or even ThinkFun itself! In addition to the awesome products mentioned above, we sometimes supplement our Maker Station with other fun STEM toys. This Summer, Make Awesome at iD Tech Mini! If you think our Maker Station sounds great, just wait until your child experiences our innovative, in-house curriculum. We’ve filled every half-day session of iD Tech Mini with tons of tech awesomeness and opportunities for discovery. Your child can explore programming, game design, robotics, or graphic design, and meet new friends in the process. Plus, when kids stay for the full day to explore two separate topics, they get to participate in gaming time—a new feature we just added this year! Learn more about iD Tech Mini for kids ages 6-9 or head to our Location Finder Tool to view all of our tech camps for ages 6-18 and find what’s closest to you. We can’t wait to see your child this summer. Want to create your own discovery station at home? Check back next week for our tips to building a Maker Station-like environment where kids can discover and explore STEM long after summer ends.